Do you want to grow God’s Kingdom? Cultivate is a network of students, volunteers, and ministry workers who have come together to grow God’s Kingdom, particularly at Oakland University. If you are interested in growing in Christlike character, developing effective ministry skills, and helping people better understand the powerful love of God, you may be a good fit for our network! We recognize it’s a large commitment, but over the last 5 years, we have seen those who want to see God’s Kingdom grow become well equipped to do so through this commitment. If you are interested in getting involved, please fill out the form to help us get to know you better. Once you fill it out, a member of our team will reach out! Kyle opened doors to friendships with local international students by moving donated furniture into their places, showing God’s love while inspiring them to welcome others. Kelly transformed from a student-athlete in attending a campus ministry into the leader of that ministry, changing its culture by training athletes to disciple athletes. Brian stopped using his charisma for personal gain and started establishing events to help others experience the love of God and advance God’s kingdom. make a gift to support kingdom workers. In order to fund these opportunities, we are asking for your help. Cultivate is looking to add $20,000 to our Kingdom Worker Development Fund by the end of 2018. Specifically, we are looking for one time donations in the following amounts: 2 donations of $5,000, 5 donations of $1,000, 5 donations of $500, and 10 donations of $250. Every donation, no matter the amount, helps us continue to develop kingdom workers by providing opportunities for them to serve others while being coached in meaningful ways. Cultivate receives donations as part of Abide Ministries, a 501(c)(3) organization located in Rochester, MI that provides financial and organizational oversight. All donations made to Cultivate are tax-deductible through Abide Ministries. Abide partners with Donorbox to enable donors to make one time and recurring donations, while allowing them to manage their own giving in a safe, secure, and reliable environment. Online gifts can be made using the form on this page, or at https://donorbox.org/cultivatekwdf. You can make one-time or recurring gifts using credit cards, debit cards, or bank transfers. All transactions are processed through Donorbox (a Stripe partner) for the highest level of security and convenience. Once you make a gift, you can manage your gift at www.donorbox.org. Kyle came to Oakland as a transfer student in fall of 2016, following two years of college athletics at a Christian college. Kyle knew a handful of Christian friends at Oakland, but didn’t have a direction for his faith in relation to his campus. He was drawn to Cultivate’s desire to develop kingdom workers, and he entered the Cultivate process about 3 week into his first semester at Oakland. As part of his first semester within Cultivate, Kyle joined a men’s group, went to a weekly apologetics class, met one-on-one with a mentor, and surveyed the opportunities available through campus organizations and ministries that would help grow God’s Kingdom. While exploring those various organizations, Kyle found that one organization really captured his heart - International Oasis. In 2014, Cultivate helped launch International Oasis, a non-profit organization that exists to provide physical, emotional, and spiritual support to international students in order to inspire and equip them to meet the needs of the global poor. It is an organization that puts a huge priority on friendship; all of the services offered have started because a Cultivate member’s relationship with an international student necessitated that service. One of the hallmark services that International Oasis provides to international students is free furniture with delivery; as many of these students don’t have furniture of any kind when they come here, not even a bed. For 2 months, Kyle helped as a volunteer on various moves. Then, in January 2017, Kyle took on the role of Furniture Delivery Coordinator with International Oasis, becoming responsible for volunteer coordination, donation pickup, stock management, and order fulfillment. Over the last 11 months, Kyle has turned website orders and deliveries into loving interactions and genuine friendships. His influence with brilliant students from all over the world is remarkable, and he has developed a special fondness for the Chinese students who call Oakland home. It is common for Kyle to meet individually and in groups with over 20 Chinese students in a week’s time outside of class and the multiple jobs he works. Some of these students have even become Kyle’s volunteer team for moving furniture for other international students, instilling in them values of humility and service to others. A few have come to know the love of Jesus as a result of Kyle’s humble service, and one has even become Kyle’s roommate. Kyle is a kingdom worker in the truest sense. He doesn’t use his intellect to overpower or his status to dominate; instead, he humbly offers himself as a friend to do the kind of things followers of Christ do sacrificially, and friends do for those they care about. Because he freely offers his friendship to those he serves, his service of moving furniture has been a great joy in spite of the sacrifices his made of his time and energy to do so. He even decided to spread what could have been his last year of school into two years so that he would have more time to pour the love of Christ into those he has met and build on the relationships they’ve started. Cultivate offers $2500 per semester through the Kingdom Worker Development Fund to whoever is the Furniture Delivery Coordinator for International Oasis, and Kyle is a worthy recipient of a small sum for such a large job. In September 2017 alone, Kyle and his team completed 53 moves around their studies and other work responsibilities. Supporting the Cultivate Kingdom Worker Development Fund helps people like Kyle develop into kingdom workers who can effectively reveal the love of Christ to others, no matter where they are from. Please consider a gift to the Kingdom Worker Development Fund today. Kelly started with Cultivate in its first semester in 2013 as a freshman at Oakland. Coming from a missionary family, Kelly knew a lot about her faith, the bible, and the importance of reaching out and accepted Christ at a very young age. However, she still had her obstacles to overcome, in spite of her upbringing - the pressure of being a pastor/missionaries kid was one of those obstacles. A fear of missing out on God’s promptings for her life was a prevailing obstacle by the time she made it to campus. As a successful student-athlete in high school, Kelly had a plan and direction for her life, but she was afraid of one day waking up and thinking she had missed or left God’s plan some place in the distant past. As a new freshman living away from home for the first time, this fear was fierce; still, she wanted help to put God first in her life. In a divine connection, Kelly became connected with the Cultivate team. She was befriended, prayed over, and joined a women’s group. She participated in twice weekly faith discussions, and began to pray significantly on her own. In her second year, she began a relationship with a female mentor who she still spends time with 4 years later as she has begun graduate studies at Oakland. Kelly began to grow, and as a result, started to become a kingdom worker, desiring to serve others to show them the love of Christ. She began to look at campus organizations to see where she could be of assistance. As a student-athlete at Oakland, Kelly formed relationships with members of her track team, and became a part of the Fellowship of Christian Athletes (FCA). During her junior year, she launched her first small group, inviting in several athletes who lived in her residence community on campus. One of the young women she invited was struggling deeply in her faith, but Kelly continually encouraged her, even when it sacrificing sleep for late night discussions and overcoming difficult circumstances. Two years later, that same young woman has rekindled her relationship with Jesus. Kelly has encouraged dozens of students in her time at Oakland. From roommates, to friends, to athletes - Kelly is always looking for ways to grow God’s Kingdom in the hearts of others. Every summer from 2015-2017, Kelly has served as a leader on a local SpringHill Day Camps team in metro Detroit with other Oakland students, working primarily with special needs campers. Beginning in fall of 2016, she became president of FCA, working to establish and build up a faith community amongst Oakland athletes. In April 2017, she led an initiative to bring a worship concert to Oakland’s campus in an effort to unite various Christian organizations, and even now as a graduate student is investing in undergraduate students to help start new sport-specific small groups. 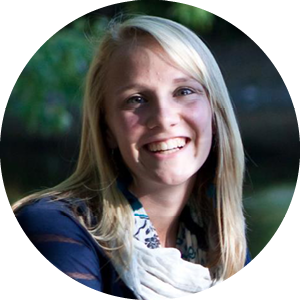 Cultivate offers Kelly valuable assistance and coaching as a kingdom worker amongst student athletes. Through the Kingdom Worker Development Fund, Cultivate has been able to help Kelly - and by extension of her leadership role, FCA - with outreach events, worship concert fees, leadership materials, and more - even offering to pay for Christian counseling for those struggling deeply with depression who Kelly was working to encourage. Supporting the Cultivate Kingdom Worker Development Fund helps us get people like Kelly and the people she serves the help they need to be successful in growing God’s Kingdom. Please consider a gift to the Kingdom Worker Development Fund today. 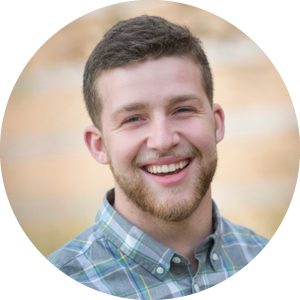 Brian became involved with Cultivate in February 2016 after being recommended by a local church to connect with Cultivate leaders at Oakland. He had barely stepped foot in a church since he began college in 2014, and he didn’t exactly know what to expect from a meeting with ministry leaders, especially at Oakland, where he was extremely well-known and involved. Brian had grown up as a Christian, going to church with his single mom nearby his home in westside Detroit. However, as a high school student, he began to drift away from his faith. Shortly after graduating high school as valedictorian and starting school at Oakland, he began to spend more and more of his time partying and socializing. While he gained popularity in the residence community at Oakland, he was sliding away from the foundation of Jesus in his life. In the summer of 2015, he was selected to be a resident assistant in the dorms, earning free room and board to go along with free tuition; however, shortly into the fall semester, his life began to unravel. He was caught with alcohol as a minor, and proceeded to lose his job as an RA, being placed on probation by one of the strictest judges in the metro-Detroit area. It was during this time he began to reconsider his faith, and start going back to church, which led to his connection to Cultivate. Brian connected with the leader he met, and they began to meet regularly to help with his spiritual growth. That mentoring relationship helped Brian as he continued to navigate these difficult situations without the help of local family; which included continued legal hurdles, a car accident, and a financial-aid issue that cost Brian a semester and set him back several thousand dollars. Through it all, Brian wanted to grow as a kingdom worker. He began to invite fraternity and sorority friends to the young-adult group he joined at Kensington. He formed Facebook communities to help his friends become aware and keep updated about faith-based opportunities. He joined YoungLife - a campus ministry - and begane promoting it as well as helping Cultivate leaders connect with new students for mentoring. Brian actively used his connections and charisma to help people find their place in local churches and campus ministry groups in order that they may know more about the love of Jesus. 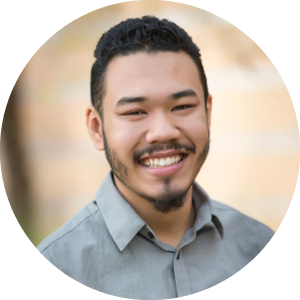 This semester, Brian has doubled as the Special-Events Coordinator for International Oasis, helping to plan and host events for 150-300 international students six different times already, and a small group leader for Kensington Church’s young-adult ministry, 1829. He has an incredible ability to remember names and form friendships, as well as the courage to suggest people to consider faith in Christ who may be uncomfortable with the idea. Between International Oasis, 1829, and his connections at Oakland; it’s safe to say that Brian is actively engaging with 200-300 students as he encourages them to pursue their faith more and more. When Brian was struggling with his financial aid and tuition issues, the Cultivate Kingdom Worker Development Fund was able to pay his tuition to help him get back into school at Oakland, where he is a key influencer of students. Through mentoring, coaching, and resourcing (both training & funding); Cultivate has helped Brian to be effective as a kingdom worker at Oakland, simultaneously working to solidify his faith and maximize his talents so that God’s Kingdom could grow through him. Making a gift to the Cultivate Kingdom Worker Development Fund helps to empower students like Brian to become effective kingdom workers by learning how to use their God-given gifts and strengths, and to overcome the obstacles that hinder them. Please consider a gift to the Cultivate Kingdom Worker Development Fund today!